I have been working in the travel industry for over 30 years with experience in the industry in retail, wholesale and with groups. I have always been into health and fitness but never considered myself a runner. That all changed in 2011 when Kate, my daughter, turned 21 and decided she wanted to run the New York Marathon with me. I thought she was crazy but not being one to turn down a challenge I signed up with her. This ended up changing my life in ways that I never could have imagined. 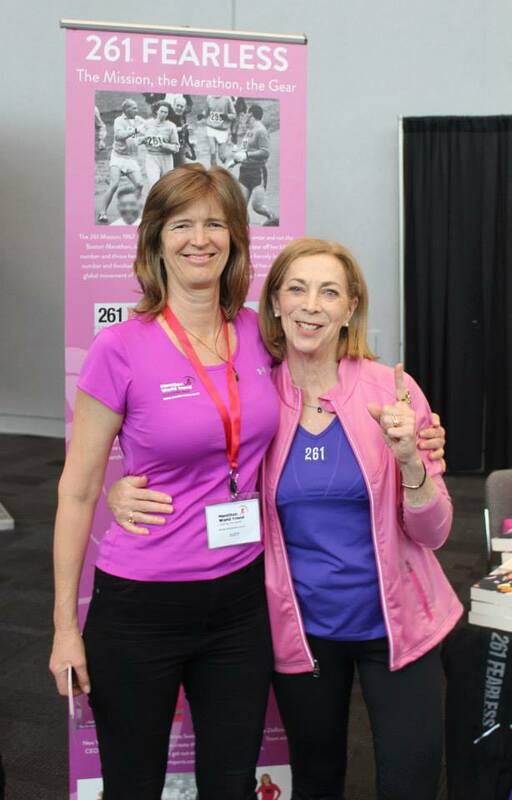 In 2013 I had the privilege of taking over Marathon World Travel (previously known as Carole Mills - Marathon Travel), combining my experience in the travel industry and my new passion for running and marathons. I have now completed the TCS New York Marathon twice, the Schneider Electric Paris Marathon and the Great Wall Half Marathon as well as the Auckland Marathon and many other Half marathons around New Zealand. I am also a member of the YMCA Marathon Running Club and love my Sunday morning runs with the Mighty 7's. My goal is to complete all the marathons sold as I love being able to pass on my my first hand experience and knowledge to my clients. 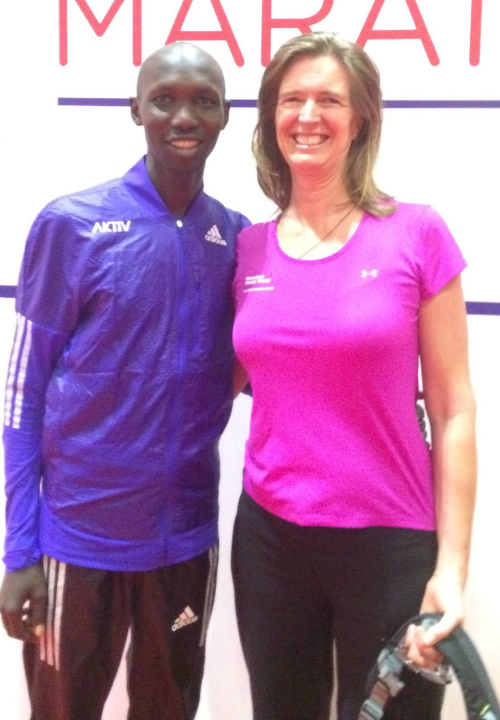 Photos above: TCS NYC Marathon 2014; Judy finish line GWM 2014; Judy & Kathrine Switzer - first women to run Boston Marathon; Judy and some of the Kiwi runners at the Schneider Electric Paris Marathon 2014; Judy with Wilson Kipsang at London Marathon 2015. Pauline has a strong business background gained through running her own business and providing Coaching, Leadership Training and a range of Business Consulting services to her nationwide customer base for many years. 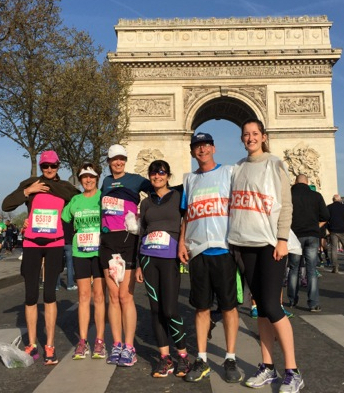 Pauline is also a very satisfied customer of Marathon World Travel having so far completed both NYC and Paris marathons with Judy and the team. 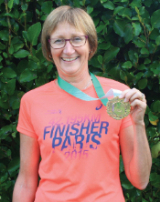 Pauline is passionate about running, and loves being associated with others who share the passion. She is delighted to be part of the Marathon World Travel Team. What could be better than being able to combine both passion and business experience to support Marathon World Travel with marketing and other business development activities, in the Waikato and Bay of Plenty. Marathon World Travel specialises in providing guaranteed entry packages for New Zealanders to international running events. This includes the TCS New York City Marathon, the Great Wall of China Marathon, the Virgin Money London Marathon, the Schneider Electric Marathon de Paris and the Big Five Marathon in South Africa plus many more. Why Book with Marathon World Travel? Judy Wolff is an approved Travel Broker for Travel Managers Group, which is a bonded member of IATA.